Library, Baraboo, 2011.1.87. ca. 1909. 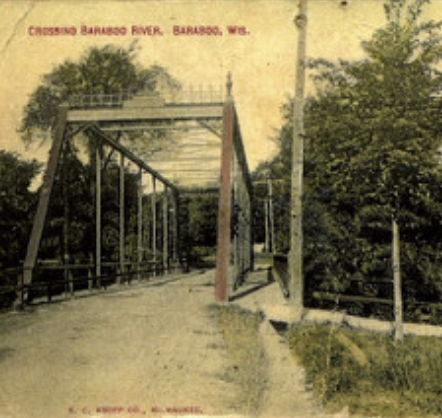 Bridge, Baraboo, 2011.1.88. c. 1912. Near Island Woolen Mill. Rood’s Glen, 2011.1.89. In Wis. Dells. Ca. 1909. School Play, 2011.1.90. 1916. Clara by the tree, Frank in a school play. Rose, Alexander & Hugh, 2011.1.92. Son, Alexander, 184601927; Father, Hugh, 1810-1870. Wedding Invitation, 2011.1.95. Mr. & Mrs. J.L. Goman. Agnes N. Teasley.